If you are a dog-lover like I am, then your dog is a full-fledged member of the family. That means your dog must have his or her own bed just like all the other members of the family. 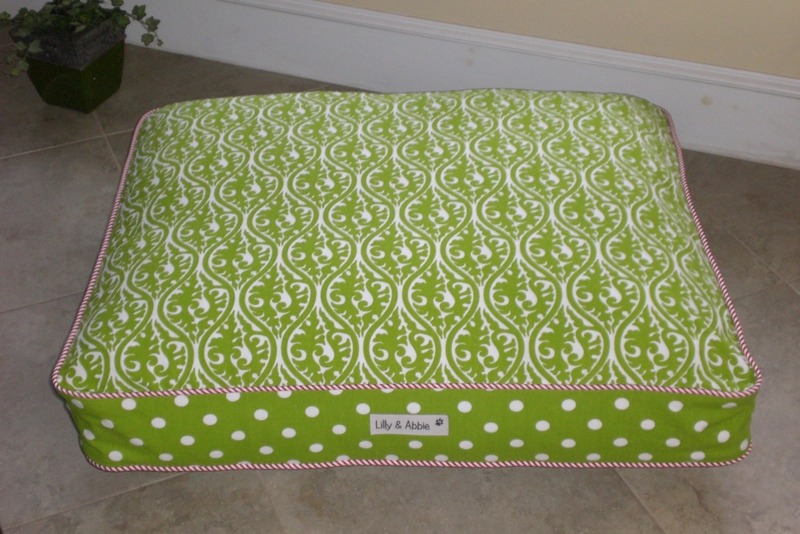 Lilly & Abby, an online boutique for custom dog beds, currently has Christmas dog beds in stock. These holiday dog beds may be designed for the holidays, but they are beautiful enough to use in your home all year round. You can also purchase additional covers to change the look to match your decor in the future. 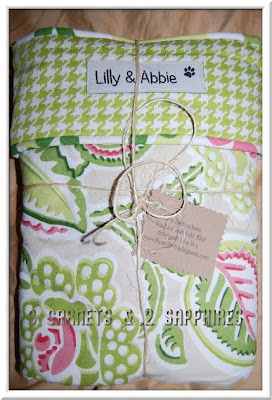 I had the chance to create a custom dog bed from Lilly & Abby. The beds are available in 4 sizes in the rectangular shape and 3 sizes in the round. All beds have the option of polyester fill or a recycled plastic bottle fill. 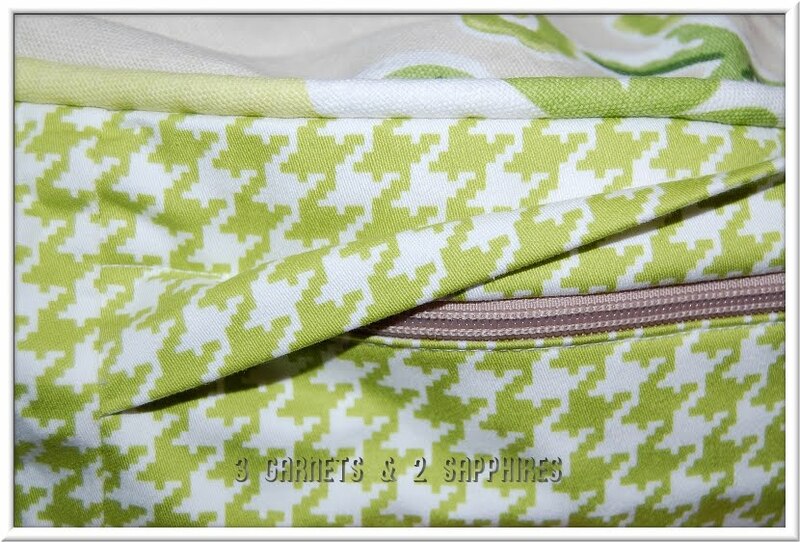 There are approximately 90 fabrics to choose from for the main body, boxing strip, and the piping. If you have your own fabric leftover from reupholstering your sofa or your custom window treatments or throw pillows, then you can send your pre-washed fabric to Lilly & Abbie to have a custom dog bed or pillow created in that fabric. 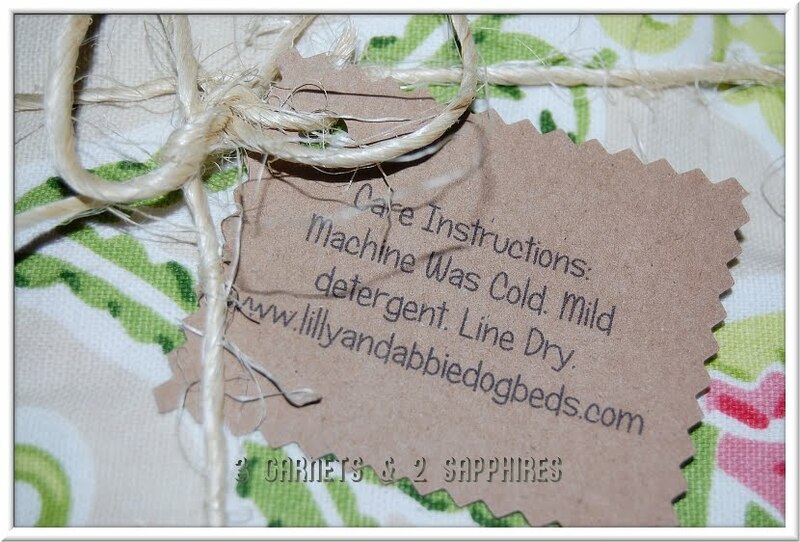 For those who are worried about purchasing a luxury dog bed for their furbaby, you can take comfort in knowing that the slipcovers are machine washable in cold water and they can be line dried. Waterproof liners can also be purchased for an additional $35. I was extremely impressed by the workmanship on our custom dog bed. There are two things that impressed me the most. Firstly, the zipper is completely hidden, so you do not have to worry about your dog bed facing a certain way, especially if it is round. Secondly, the piping is very clean and straight, which gives the bed its highly tailored look. Meet the ultimate "pampered pooch" Yogi. If this Peekapoo could speak, he would say, "Thank you Lilly & Abbie!" 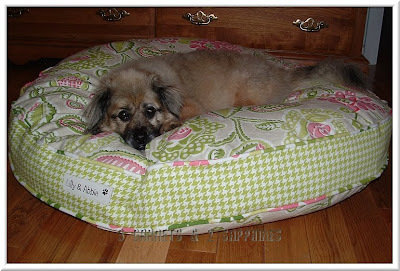 To find out more about Lilly & Abbie custom dog beds, which start as low as $100, visit LillyAndAbbieDogBeds.com . 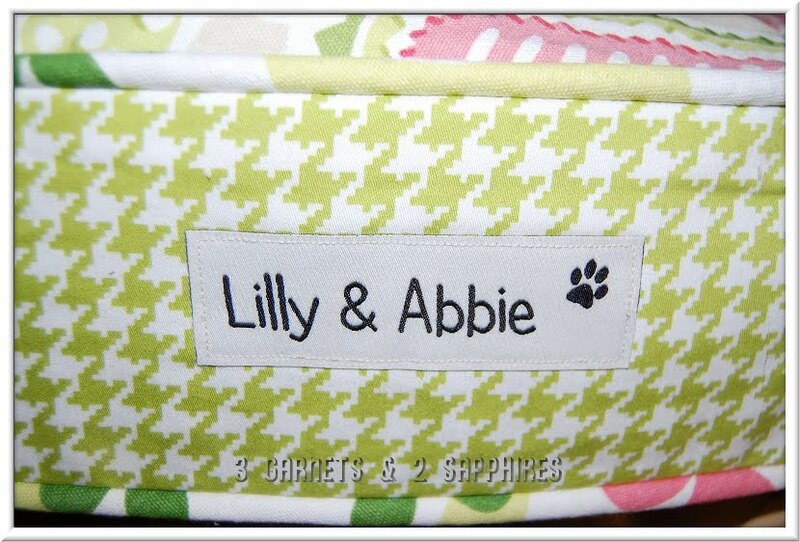 Because a custom dog bed takes 2 to 4 weeks to ship, a digital or printed Lilly & Abbie gift certificate would make a great gift so that your favorite dog-lover can customize the bed themselves. Thank you to Lilly & Abbie for providing a complimentary product sample for us to base this review upon and for providing a luxury dog bed for our contest prize. One lucky reader will receive a 24" x 30" Rectangular Kimono Chartreuse Dog Bed (pictured at the top left) . . . ARV $150. Browse the selection of Lilly & Abby's dog bed fabrics. Then leave a comment telling me 2 or 3 fabrics you think would look great together on a custom dog bed. You MUST do this to be eligible to win this contest. For 5 extra entries, leave a relevant comment on the Lilly & Abby Dog Blog. Then leave FIVE separate comments with the name of the post on which you commented. 5) For 1 extra entry each, follow Lilly & Abby on Twitter and/or "Like" Lilly & Abbie on Facebook. Then leave a separate comment for each with the link to your Twitter or Facebook profile.